HPL Plywood 18mm 2440x1220 - Double sided HPL (satin white, .7mm) lined, laminated to a mixed core plywood consisting of poplar and eucalyptus layers. 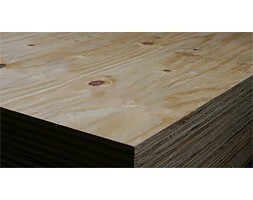 High pressure laminate skinned plywood offers extra durability and has a resistance to wearing. Easily wiped down and is ideal for lining walls, kitchen and caravan carcases, partitioning etc. Cuts can be arranged with the inclusion of a cutting charge. Straight 90° cuts only. If you need a different size please ask in the Questions box below and we will happily price your cutting requirements for you. We can arrange national wide door to door service or you can pick up from the depot of any Freight Company located nearby you. Our freight partner is Mainfreight. We have trucks on standby meaning we can offer you prompt delivery service.